Julie Fleming is an English Trained leading milliner - her studio is based in South Australia. Making and selling hats and fascinators in Melbourne since 1989, her service and commitment to style is legendary. One of Australia's longest-established high fashion milliners, Julie makes bespoke, beautiful hats, fascinators and headbands. She also makes for film and television and the stage. 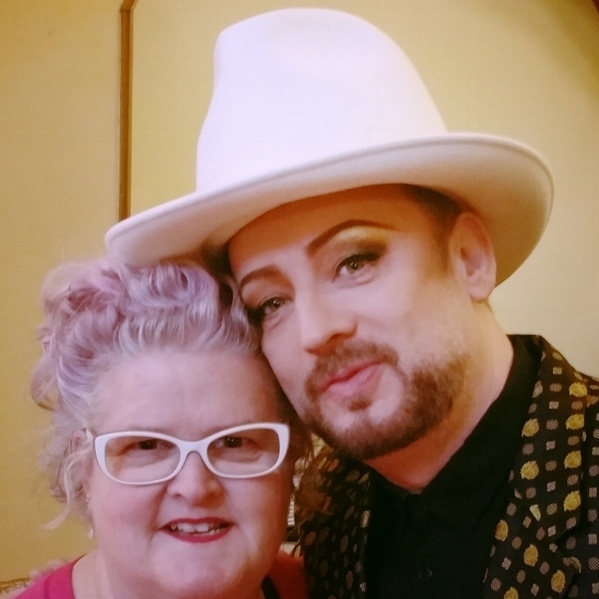 In November 2016 Julie made a hat for Boy George, below. You can find millinery tutorials, vintage inspiration and see Julie handmaking in action in her journal. Julie teaches private classes from her studio in the JamFactory at Seppeltsfield Winery in The Barossa Valley, South Australia. In November 2015 Julie made a hat for The Duchess of Cornwall which was presented to Camilla as the gift from the people of South Australia. 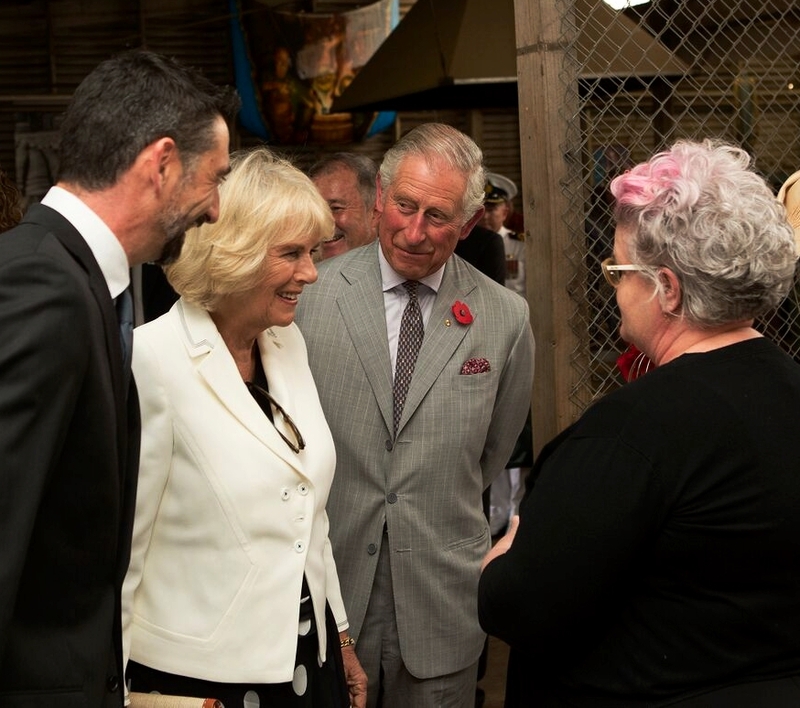 Above; Julie Fleming meets Charles and Camilla in The Barossa.